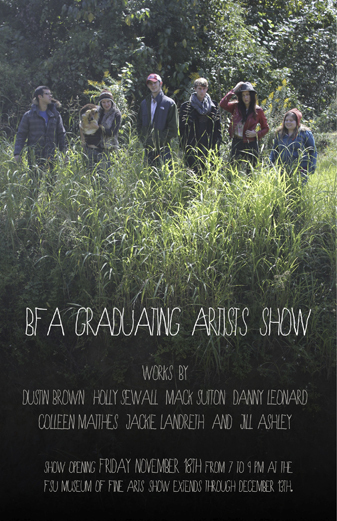 Fall Graduating Artists Opening This Friday and Turkey Platter Auction! Work will include digital animation, painting, drawing, sculpture, installation and live performance (opening night only). The exhibition runs from the opening on the 18th through December 13th @ NOON.